This images of Bright Eyes was taken tonight at the Royal Albert Hall, London. I always love coming to this venue, so it was great to catch this show which also had a strong support bill. please click on the image above to launch a flash slideshow. 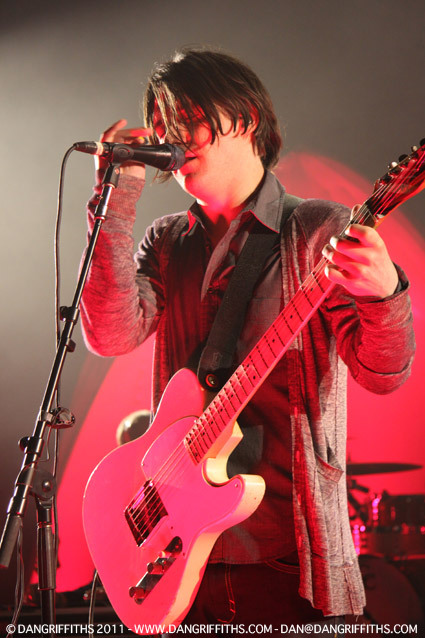 Bright Eyes is an American indie rock band founded by singer-songwriter and guitarist Conor Oberst. It consists of Oberst, multi-instrumentalist and producer Mike Mogis, trumpet and piano player Nate Walcott, and a rotating lineup of collaborators drawn primarily from Omaha’s indie music scene. Bright Eyes is signed to Saddle Creek Records, a Nebraska-based label founded by Conor and his brother Justin Oberst and distributed by Sony Corporation. In 2004, the singles ‘Lua’ and ‘Take It Easy (Love Nothing)’ took the top two spots of Billboard’s Hot 100 Singles Sales chart within two weeks of their simultaneous release.